So today I've been playing with Jen Martakis' new digikit 'Watercolors'. It's gorgeous. Love the many many different flowers in the kit... and the gorgeous papers too. I especially loved this pink polka paper. I embellished the flower with Glossy Accents and THESE Prima crystals. This card is for the Sirstampalot challenge, 'Butterflies and Blossoms'. 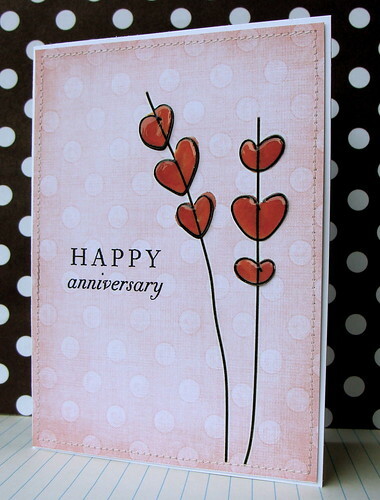 And I couldn't resist making one more card with the yummy paper... I thought it seemed romantic, so went with a love themed card. Hope you have sunshine like we do. It's 27 degrees here!!! Hooray for the sun. I can understand why you are liking this new kit as the cards you have created from it are so very elegant. And yes, isn't the sun wonderful. 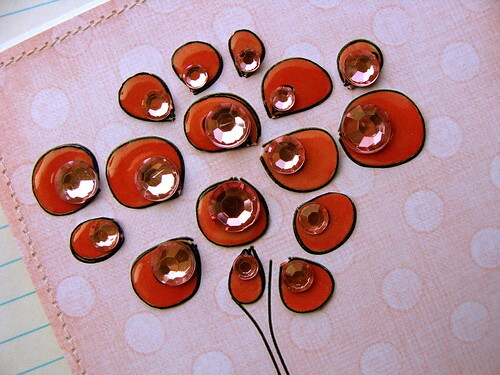 Loving all the bling, such beautiful, fun cards. So much fun! Love both of these - thanks for sharing! Your cards are gorgeous! So different, I love them. WOW!!! I really LOVE these cards, so so pretty! Such pretty cards! Thanks for joining us at sir stampalot and good luck! Lucy, you are having a nice warm day :o) Your cards are fantastic and the "watercolours" digikit is a must have, it is beautiful. Thank you! Simply stunning! Love the bling and gloss! Wow, Lucy, these are gorgeous! 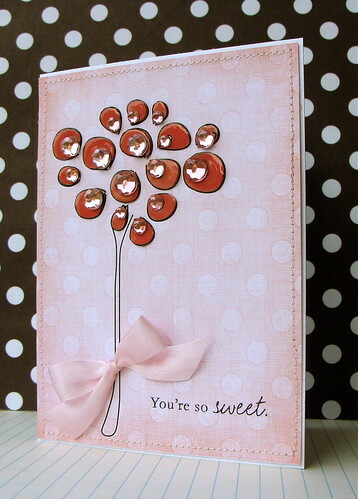 I love what you did with the images; the glossy accents and gems are sooo pretty. I love when you play with digi!!! Stunning simple cards, love them all! That Glossy Accents just punches the color and makes a cool effect. Beautiful cards. So sweet! Love the red and pink mixed in together! How do you get the glossy accent to not run out the edges? Do you do each individual piece first then adhere? love those flower, too! very pretty and sweet cards!! Very beautiful cards, love the added crystals. Thanks for sharing at Sir Stampalot this month. Pretty cards! Love the bling too! Just stunning cards! Love them all! what a wonderful card , Thanks for joining us at sir stampalot this month And good luck !